Anna Hoyles, 34, of Craythorne Lane, Boston. At Boston, committed assault by beating. Committed to prison for four months. £250 compensation. At Boston, on a separate date, stole three gift sets to the value of £39.50 from Boots. No separate penalty. Compensation £39.50. At Boston, on a third date, stole hair straighteners to the value of £14.99 from Oldrids. At Boston, on a fourth date, stole air fresheners to the value of £30 belonging to B and M Stores. No separate penalties. At Boston, on a fifth date, damaged a window to the value of £290 belonging to The Moon Under Water intending to destroy or damage such property or being reckless as to whether such property would be destroyed or damaged. No separate penalty. £291.57 compensation. Breach of conditional discharge imposed for offence of drunk and disorderly. No action taken on breach. Order to continue. Mateusz Stempien, 28, of Portland Street, Boston. At Wyberton, in Chain Bridge Road, drove after consuming so much alcohol that the proportion of it in his breath equalled 82 microgrammes in 100 millilitres. Legal limit 35mcg. £280 fine. £30 victim surcharge. £85 costs. Disqualified from driving for 22 months. Driving record endorsed. Agnes Maskell, 60, of London Road, Kirton. At Boston, in Spilsby Road, drove after consuming so much alcohol that the proportion of it in her breath equalled 91 microgrammes in 100 millilitres. Legal limit 35mcg. £200 fine. £30 victim surcharge. £85 costs. Disqualified from driving for 23 months. Driving record endorsed. Mindaugas Mikalauskas, 41, of Oak Crescent, Boston. At Fishtoft, in Clampgate Road, drove after consuming so much alcohol that the proportion of it in his breath equalled 72 microgrammes in 100 millilitres. Legal limit 35mcg. £250 fine. £30 victim surcharge. £85 costs. Disqualified from driving for 16 months. Driving record endorsed. Lewis Pagden, 29, of Jubilee Avenue, Boston. At Boston, in Brothertoft Road, drove without insurance. £150 fine. £30 victim surcharge. £85 costs. Driving record endorsed with six points. Matthew Goring, 42, of Middlegate Road West, Frampton. At Boston, in Spalding Road, drove while using a handheld mobile telephone. No totting disqualification due to mitigating circumstances. £60 fine. £30 victim surcharge. £85 costs. Driving record endorsed with six points. Jeremy Elmer, 50, of Seedlands Close, Boston. At Boston, in Freiston Road, drove while using a hand-held mobile telephone. £220 fine. £30 victim surcharge. £85 costs. Driving record endorsed with six points. Jeffrey Ride, 33, of Chapel Lane, Mareham le Fen. At Boston, in Sleaford Road, drove while the proportion of a controlled drug, namely Delta-9-Tetrahydrocannabinol, in his blood equalled 2.9 microgrammes per litre. Legal limit 2mcg. £120 fine. £30 victim surcharge. £85 costs. Disqualified from driving for 12 months. Driving record endorsed. Scott Hunter, 34, c/o Wheeler Close, Boston. Failed to comply with the supervision requirements imposed following release from a period of imprisonment in that on two dates breached the licence conditions by failing to attend planned appointments. £50 fine. Floyd Carlon, 23, of Elizabeth Road, Boston. Failed to comply with a community requirement of a suspended sentence by failing to attend as instructed a Building Better Relationships session on one date and unpaid work on another. No adjudication – dealt with for original offence: at Boston, committed assault by beating – two counts. In each case, suspended sentence of imprisonment of 12 weeks implemented as a sentence of eight weeks, running concurrently to each other. Marco Lopes, 43, of Vauxhall Road, Boston. Failed to comply with the requirements of a community order by failing to attend, as instructed, a planned office appointment. An alcohol abstinence monitoring requirement was also breached by tampering with tag equipment and having reading equipment positive to alcohol on a date in January. Order to continue. £40 fine. Joanne Turner, 39, of Liquorpond Street, Boston. Failed to comply with the requirements of a community order by failing to attend, as instructed, a planned office appointment on two dates. Order to continue, but varied. New and varied requirements: Rehabilitation Activity Requirement. Original requirements to continue: Rehabilitation Activity Requirement. Albinas Arlauskis, 57, of King Street, Boston. At Boston, in Fishtoft Road, as a driver, after being involved in an accident where damaged was caused to another vehicle failed to stop. £200 fine. £30 victim surcharge. £85 costs. Disqualified from driving for two months. At Boston, in Fishtoft Road, as a driver, after being involved in an accident in which damage was caused to another vehicle failed to report it at a police station or to a constable as soon as was reasonably practicable, or in any case within 24 hours. No separate penalty. Driving record endorsed. At Boston, in Fishtoft Road, drove a vehicle – a Peugeot 307 – without due care and attention. £200 fine. Driving record endorsed. Arkadiusz Kliczkowski, 49, of Fishtoft Road, Boston. At Boston, in West Street, as a driver of a vehicle, caused it or part of it to stop within the limits of a zebra crossing. £100 fine. £30 victim surcharge. Driving record endorsed with three points. Jane Teft, 49, of Main Road, Wrangle. At Wrangle, caused unnecessary suffering to a protected animal, namely a dog, by a failure to act, namely to adequately explore and address the cause of said animal’s weight loss, and she knew or ought reasonably to have known that the failure would have that effect or be likely to do so. £120 fine. £30 victim surcharge. £400 costs. Order made to disqualify the defendant in respect of dogs from dealing in them, owning them, keeping them, participating in keeping them and from being party to an arrangement under which the defendant is entitled to control or influence the way in which they are kept, transporting them, and arranging for the transport of them for a period of five years. Steven Stone, 29, c/o Cromwell Place, Tattershall. At Boston, failed to comply with the notification requirements as provided by part of the Sexual Offences Act in that he failed to notify weekly as he was of no fixed abode - four counts, notifying one day late twice, two days late once, and five days late once. In each case, community order made. Rehabilitation Activity Requirement. £85 victim surcharge. £85 costs. Breach of a conditional discharge imposed for an offence of a breach of a Criminal Behaviour Order. No action taken on breach. At Boston, failed to comply with the notification requirements of the Sexual Offences Act in that he stayed at an address where an under 18-year-old resides or stays within three days. Community order made, as above. Terry Jocham, 45, of South Terrace, Boston. At Boston, stole six blocks of cheese to the value of £30 from the Co-operative society. £30 compensation. Justin Jagger, 38, of Taverner Road, Boston. Application to re-open a case following conviction for an offence of failing to give information relating to the identification of the driver of a vehicle when required. Case re-opened. Conviction and sentence imposed set aside. Licence endorsement to be removed. 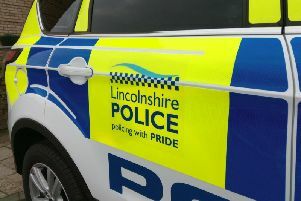 At Lincoln, failed to give information relating to the identification of the driver of a vehicle who was alleged to have been guilty of an offence. £660 fine. £66 victim surcharge. £85 costs. Disqualified from driving for six months due to repeat offending. Driving record endorsed. Pavel Karmysov, 31, of Fox Close, Boston. Appeared before the court to make a statutory declaration following conviction for an offence of using a hand-held mobile telephone while driving. Statutory declaration made. At Luton, in Windmill Road, drove while using a hand-held mobile telephone. £160 fine. £30 victim surcharge. £85 costs. Driving record endorsed with six points.